The absolute best thing about joining the BostonMQG was I found my BQF Aimee. There isn't a single project I've made since we met that hasn't been improved by her suggestions. 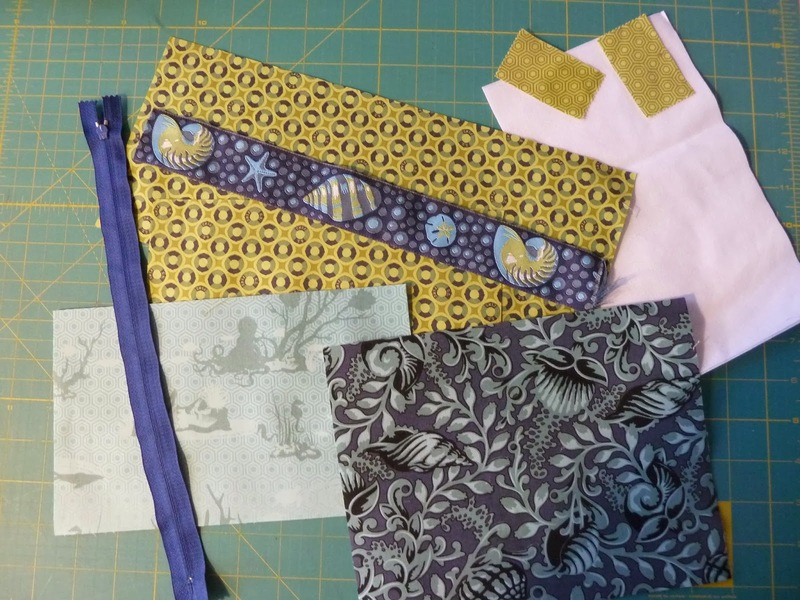 Yesterday during our standing craft chat we were cleaning out our respective quilt studios and Aimee came across some fabulous ribbon we bought on our fabric buying frenzy at Mood. Faster than you can say "We love Tula Pink!" the challenge had been issued... use it to make a Noodlehead Gathered Clutch. 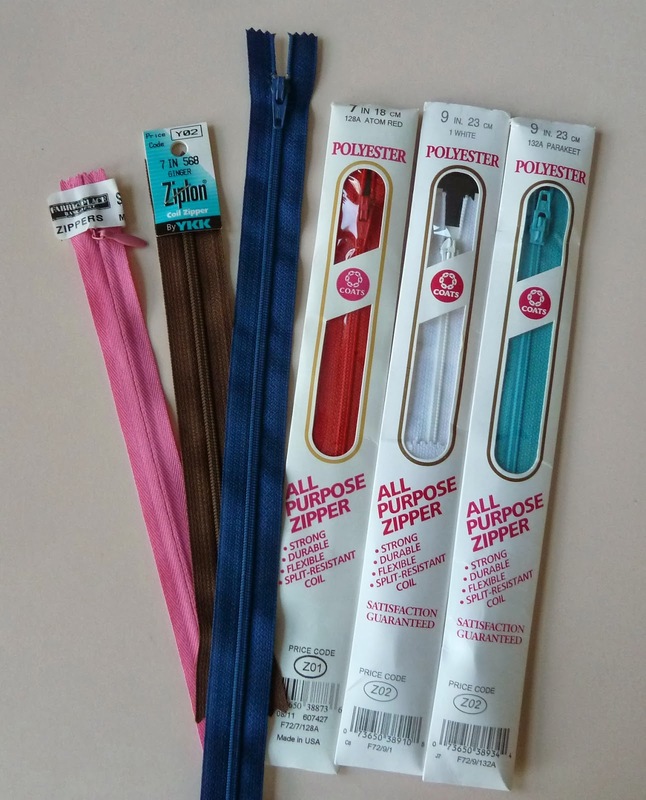 My biggest concern was the zipper since I'd already made my daily trip to Quilter's Way but it turns out I do have a secret stash of zippers so I had a few choices. The ribbon is from Salt Water and I played around with a couple of ideas before deciding it was time to dip in to my carefully hoarded pile of Neptune. Picking out fabrics and cutting all the pieces was definitely the most time consuming part of the process. Anna's instructions are easy to follow and well illustrated. The zipper installation was a breeze! I wish I'd followed the instruction to use a slightly wider seam allowance when sewing the lining pieces so it fit better inside the bag. Mine is a bit poochy but the card slots are a perfect fit. 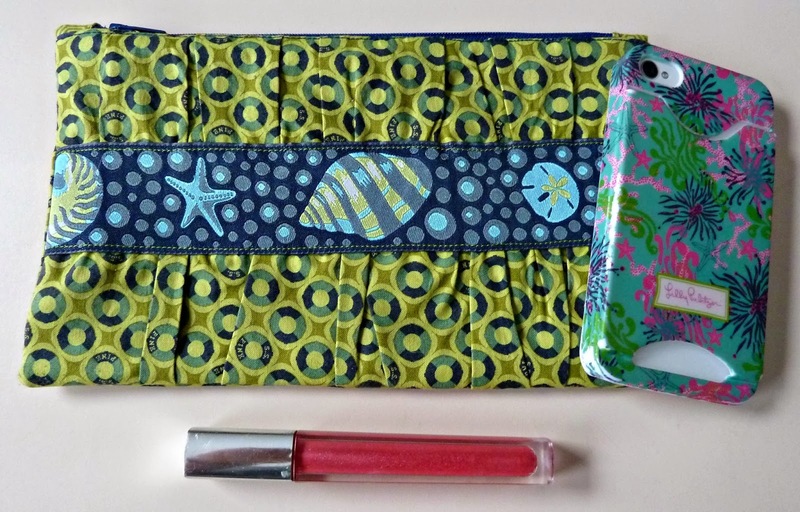 The finished clutch is a bit small for my taste, more the size of a pencil case or wallet. If I make it again (and I can guarantee I will) I'd use these mods from Clover & Violet to make it a bit bigger. SO CUTE! I knew that must be one of the Renaissance Ribbon when you posted it yesterday. So lovely! 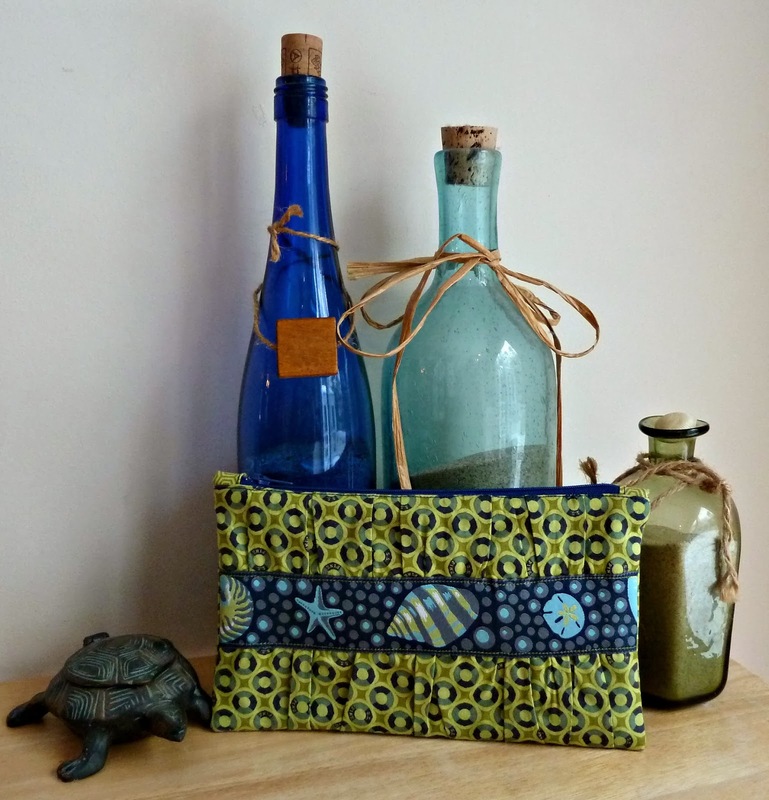 And I've got to make a Noodlehead bag here soon. They seem to be all the rage! Gasp! You cut into your Neptune!!! I can't believe it. 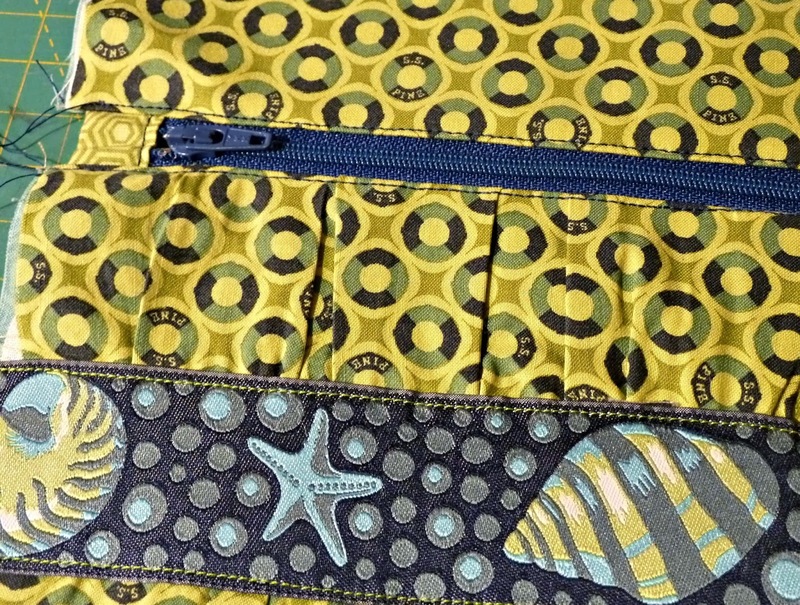 The pouch came out awesome. I love the gatherings. 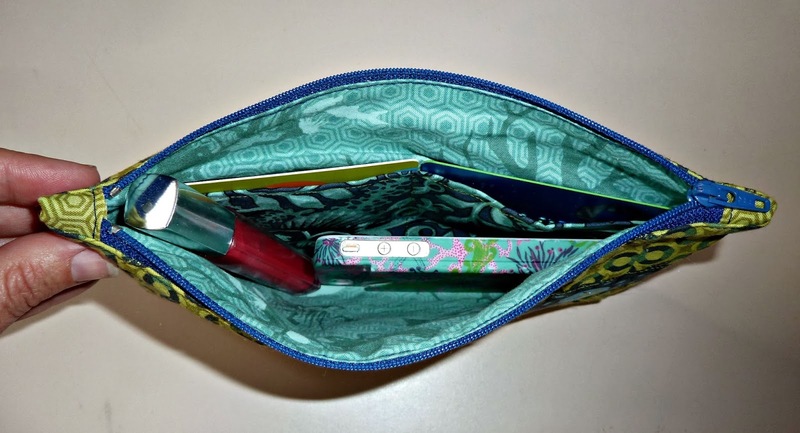 You could always turn this into a rotary cutter bag or something if it's too small for a little purse/wallet. Very cool, I love those colors! Looks awesome and very useful! Well done! Lovely clutch! I love your fabric/ribbon selection. Lovely! Great choice putting the ribbon in the middle - really adds a nice punch. Lovely and worthwhile. I like this. Thanks for share. So lovely! 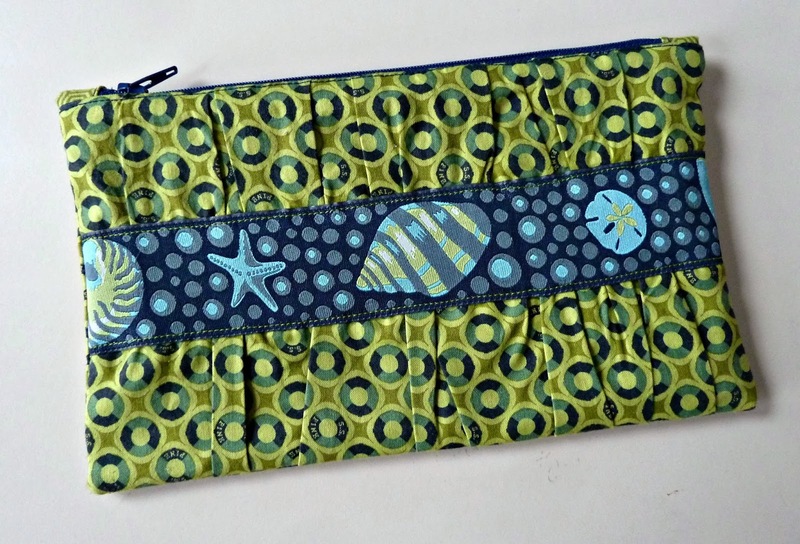 And I've got to make a Noodle head bag here soon. thanks for sharing this idea!! That is so pretty! Very cool, I love those colors!